ASC offers a large range of additional services irrespective of the original manufacturer. From site surveys, testing and commissioning to full scale removal and replacement of old panels utilizing existing cables, ASC can work closely with its customers to ensure minimal disruption and limited down time. Our experienced engineers and technicians are fully trained to the highest possible standard including in-house training, Health and Safety (Safe Pass & CSCS), First Aid, Forklift Driving, Fault Finding, Testing & Commissioning, Panel Installation and many more. All of ASC's products are extensively tested prior to leaving our manufacturing plant for quality and performance. 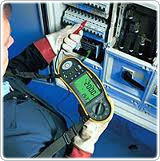 This ensures safety and reliability during operation and service. Once the installation is complete, site testing and commissioning can be carried out by our own engineers. ASC are able to install power factor correction technology that can provide on-site technical service and design, advising on a number of power quality solutions that will improve your network efficiency and reliability. 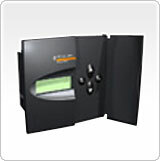 We have the expertise to fit integrally into our own switchboards, or as stand alone or retrofit units. Every industry is confronted with rising energy costs and one way to improve efficiency and adapt for new or changed requirements is through retrofitting of switchgear. At ASC we have access to all the leading manufacturers products and can offer retrofitting services to customers, providing a safe and cost effective solution. We can up-date your existing distribution system where space permits, by fitting additional feeders to the existing switchboard, or if necessary by providing a purpose designed extension to your existing switchboard. Experienced ASC Engineers carry out visual inspections in addition to using the latest technology to assess a potential customers requirements for a proposed project as well as installed switchgear. ASC operate a skilled maintenance department who specialise in achieving the minimal disruption possible for customers when completing onsite works. 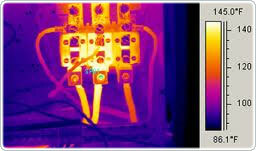 ASC's thermal imaging surveys allows customers to detect any deterioration of switchgear so that we can highlight hot spots and pre-empt any problems that would cause future systems failures. For further details about any of our services, contact a member of our Sales Team to discuss your requirements.